JLG’s RS series of electric scissor lifts can be used inside and outside. From commercial construction to schools, hospitals or anywhere a lifting capacity is required. The RS series are high performing, tough and very reliable. They are also cleverly designed to provide a larger platform to walk on. The platform of scissor lifts can only be raised vertically, except for a deck extension that provides some horizontal outreach and additional working area. 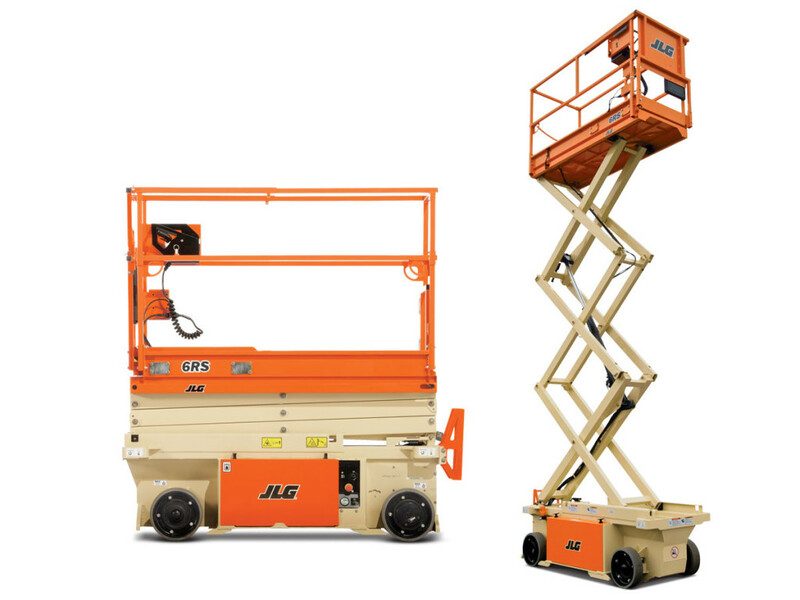 These JLG line of electric scissor lifts are the green machines in the lift industry. These electric scissors feature a longer run time, greater uptime and higher productivity. The energy efficient machine design means less scheduled service, a quieter work area, less dependency on hydraulic oils, and zero emissions. Passive pothole protection eliminates all moving parts, reduces the need for repair and offers ample ground clearance to traverse over different terrain. Innovative operator controls and compact dimensions for traveling through doorways. The direct electric drive delivers industry-leading duty cycles. Leak points are minimized with a design that includes 4 hydraulic hoses. Easily accessible battery storage areas. Up to 32 ft platform height and 705 lb capacity.